If you've felt a build-up in the photos I've been posting over the past week or so, then I've accomplished my goal of unveiling an emotional journey reflecting the spirit of the season. 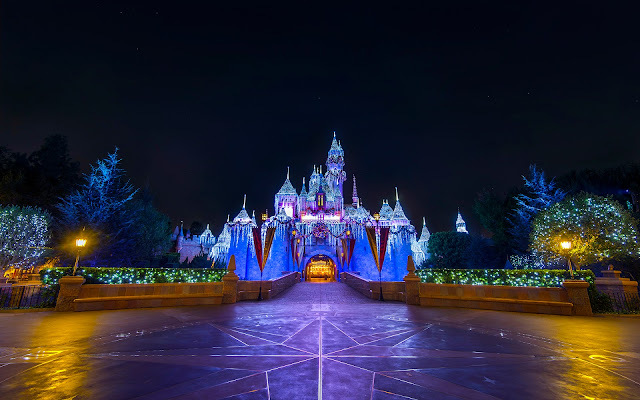 I've highlighted it with this photo of Sleeping Beauty Castle, empty. 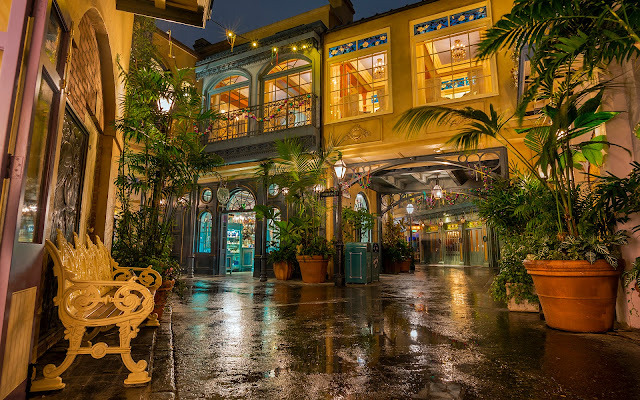 These clear, empty nighttime shots seem to be very popular in the Disney photo viewing community, probably because it takes a lot patience and work to attain them, but I would be lying if I said I didn't enjoy them either, whether it be seeing what fantastic photographers like Tom Bricker at Disney Tourist Blog or Matthew Cooper at The Time The Space Photography churn out, or it be trying to emulate that luminous clarity myself. 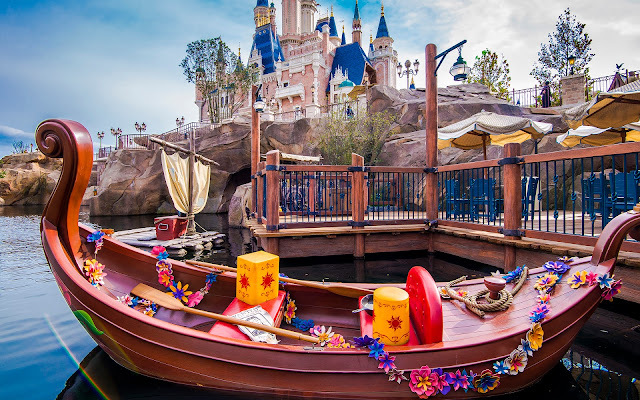 The great thing about Disney photography is the warmth and magic it inspires in others who view it and the joy it gives the photographer to both accomplish a great shot and know that there are others who are getting joy in viewing those photos. 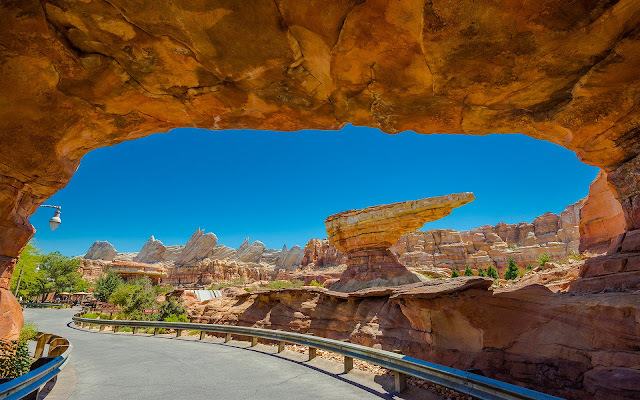 We Disney fans all love the parks to a high and probably unhealthy degree, but it's all in the best of intentions. A hobby like this allows us to pass along those inspirations and emotions that we get from exploring the Happiest Place on Earth onto others. 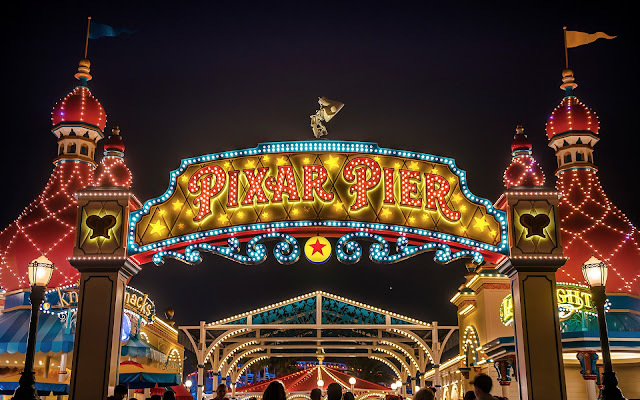 What I guess I'm trying to say is that this blog is a dually fulfilling enterprise, because I derive satisfaction from both being able to create and share great photos of Disney parks as well as the positive feedback from you the viewer. 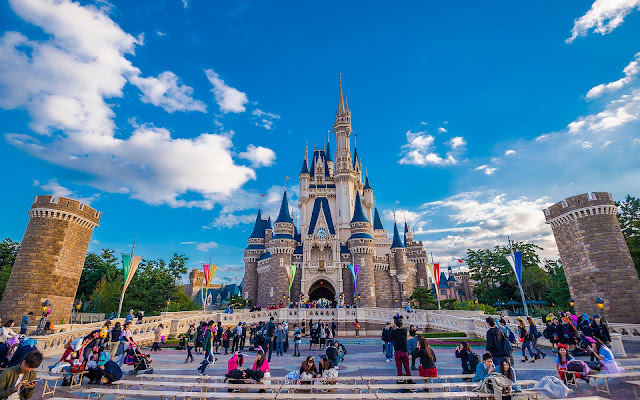 So I have a genuine sense of appreciation for that love of Disney that we collectively share, because it inspires connections and emotions that are in the spirit that Walt Disney sought to instill. So enjoy a Merry Christmas, and may it be joyous and wonderful. Happy Holidays! The grace of a beautiful holiday night enshrines the Sleeping Beauty Winter Castle.